Restoring your Physical Abilities | West Coast Nursing Ventura, Inc.
← What to Consider in Old Age? If you were part of an accident that has left you in a wheelchair or has left you severely injured, then chances are you are going to need some physical therapy services. Thankfully, there are many options for a good home health care in Hillcrest Drive Thousand Oaks CA that offers excellent physical therapy services such as West Coast Nursing Ventura, Inc. If you want to restore your former physical abilities and get back the life you have lost, then we can help you out with that! When you were part of an accident, it can no doubt be very difficult to get your body back to the way it was. With physical therapy, there is hope you can do exactly that but it is important to know that this will be difficult depending on the kind of injury you have and how determined you are. To make things easier on you, we offer our services in the comfort of your own home so you can fight the good fight in familiar surroundings. 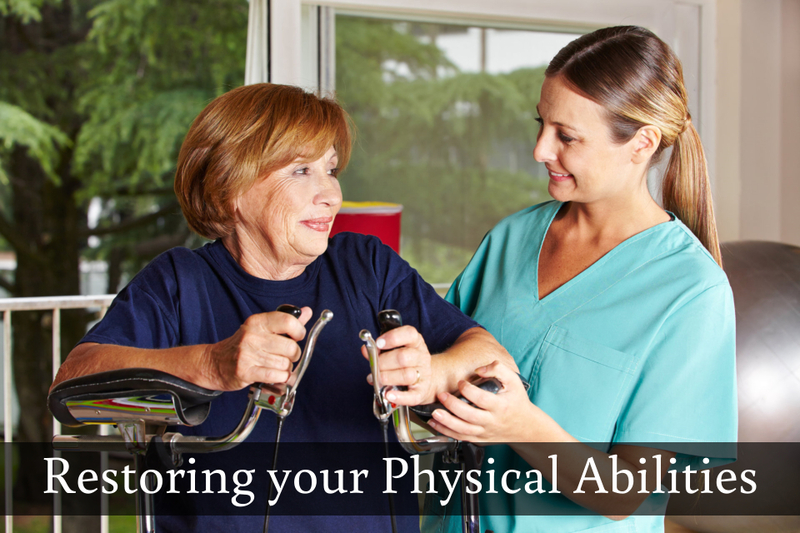 Obviously, the benefits of physical therapy are that you will be able to regain your physical abilities. For example if you were injured causing you to be bound to a wheel chair, you can still walk with the help of intensive physical therapy. So if you work for it and you put all of your will and determination into it, it is possible for you to walk on your own again. However, it is critical to know that the effects, the therapy, and the kind of benefits you should expect will depend on the kind of surgery you have. If you want to restore your life to its former glory, then let us help you! We have not only the best physical therapy services in the area but we also offer a number of other kinds of services that you will no doubt appreciate as well. Such as skilled nursing services and also home health aide services, so if you want to learn more just give us a call today at 805-496-0900! This entry was posted in Home Health Care and tagged Home Health, Home Health Care Services, physical abilities, Physical Therapy. Bookmark the permalink.